Stairways, steps, bases of doors and gates and edging can be hidden injury hazards that should not be underestimated. EUROFLEX® Step Blocks are the safe alternative to unforgivingly rigid materials such as wood, stone or concrete. EUROFLEX® Step Blocks are ideally dimensioned for use in stepped inclines such as stairways or spectator standing and seating areas. They can be installed on edge if required, e.g. when used as edging. 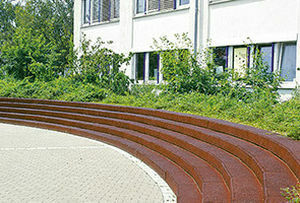 EUROFLEX® Step Blocks offer outstanding design versatility. Cutting to desired sizes – even mitring – is easy. 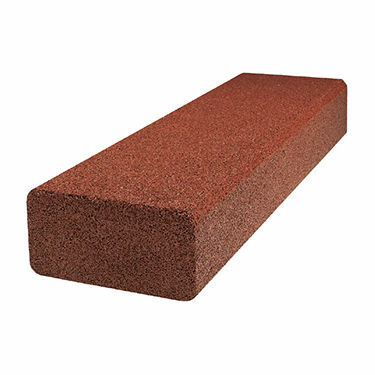 EUROFLEX® Step Blocks are made from select recycled rubber material which is comfortable to sit on, is soft and safe, dries quickly when wet, does not splinter and is highly resistant to weathering. They are available in 45° circular arc segments for added design versatility.